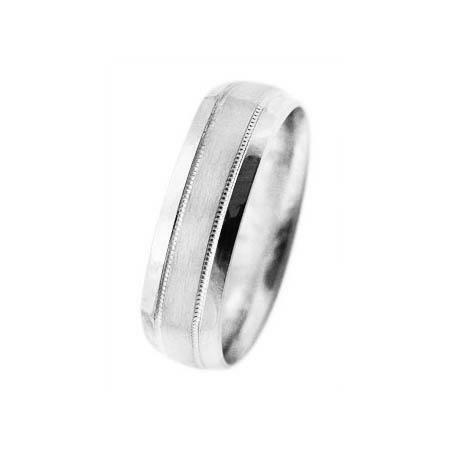 Ring Details: 14k white gold with antique style fine etching detail, matte and polished finish. Measurements: This ring is size 9, measures 6mm wide, and is sizable to most finger sizes. Some sizes may require a special order taking approximately 3 weeks for delivery. 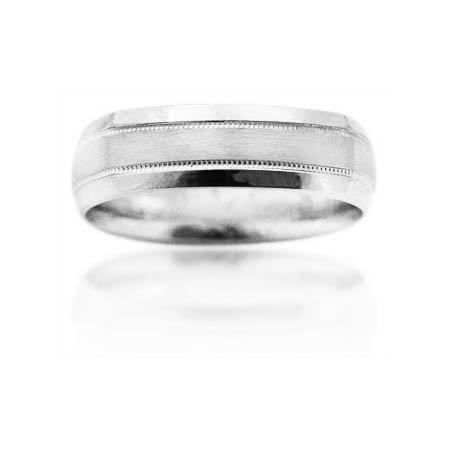 The fine etching detail, matte and polished finish distinguish this elegant men's antique style 14k white gold wedding band ring. This ring is size 9, measures 6mm wide, and is sizable to most finger sizes. Some sizes may require a special order taking approximately 3 weeks for delivery.